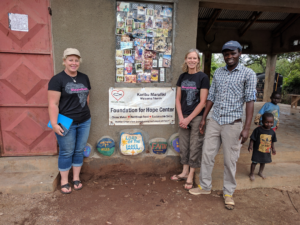 Simple Hope, founded in 2010, is a Christian non-profit organization, working ecumenically with all faiths to provide hope to compromised communities in rural Tanzania, East Africa. The direct mission of Simple Hope is to save and empower lives through faith, nutritious food, clean water, education, and other identified long term sustainable projects. In conjunction, Simple Hope has a sister limited non-profit company, Simple Hope Tanzania, registered in Tanzania. 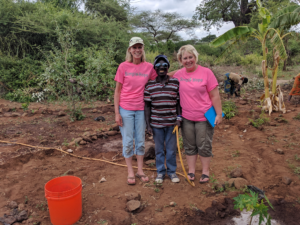 This organization, directed by Patrick Paul, a Tanzanian who has dedicated his life to serving his people, oversees all implemented projects under the daily direction of Pamela Schwalbach and Karen Puhl, co-founders of Simple Hope (USA). It is in the unity of these two organizations that destitute people living in a drought stricken nation, will be supplemented with nutritious food, made healthy with clean water and given new hope through Christ and sustainable projects. Together, with you, prayer and God’s direction, we are building a bridge of love between our worlds!